We create modern and technologically advanced interactive mirrors. We are leaders on the Polish and Eastern European markets. Competition is getting more and more creative and clients more and more demanding, no matter what branch we are talking about. We created interactive mirrors with high-flying firms in mind. It will help you make it to the top! We adjust mirror’s projects to individual customers needs. We take care of efficient functioning, and high resolution of display. We are responsible for installing the mirror and presenting its functions. 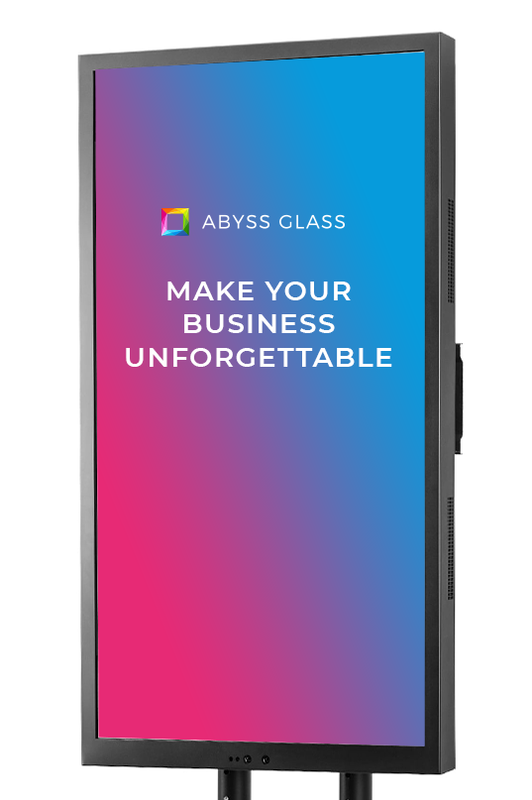 Abyss Glass interactive mirrors’ technology and solutions distinguish you from the competition. We are able to create an innovative project for every industry. Abyss Glass creates applications on the mirrors from scratch. Team of our programmers and graphic designers try their best so that the product meets clients’ expectations. Our interactive mirrors are marketing and information mediums. 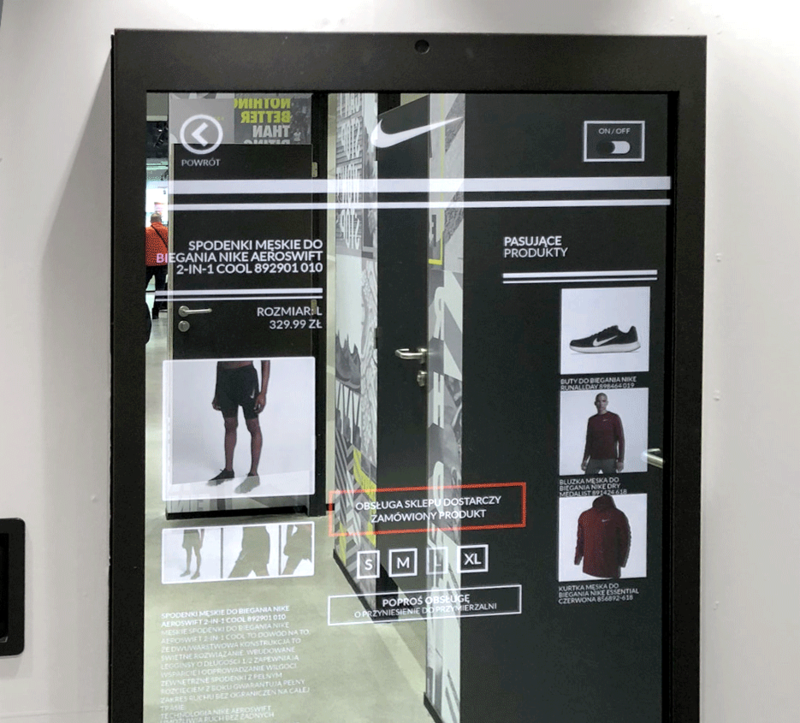 Contents that display on their surface not only engage clients in interaction, but also are a tool of modern advertisement. 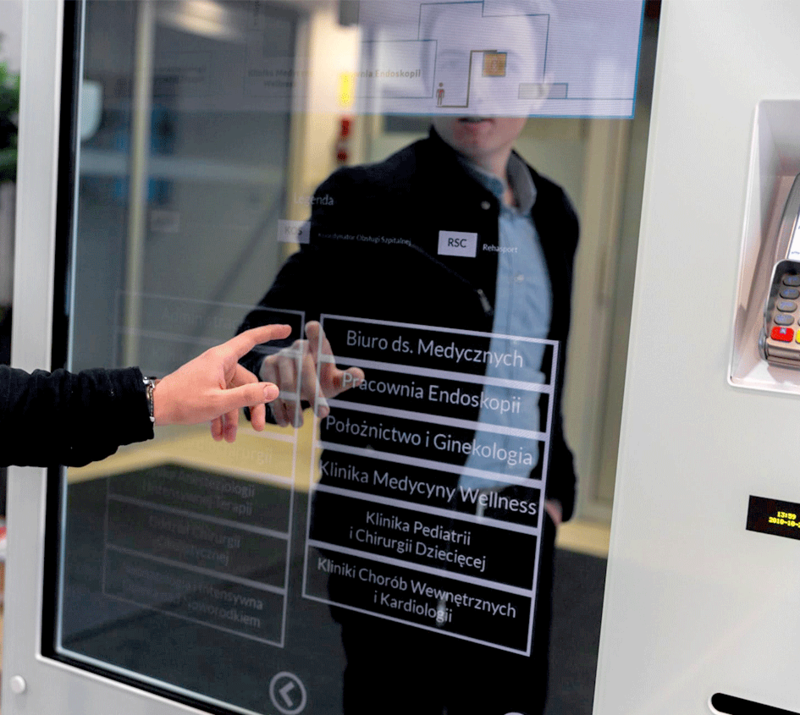 Interactive mirrors surprise with interactive content where users do not expect it. The passerby will not walk by such a carrier indifferently and the mirror will catch their attention.